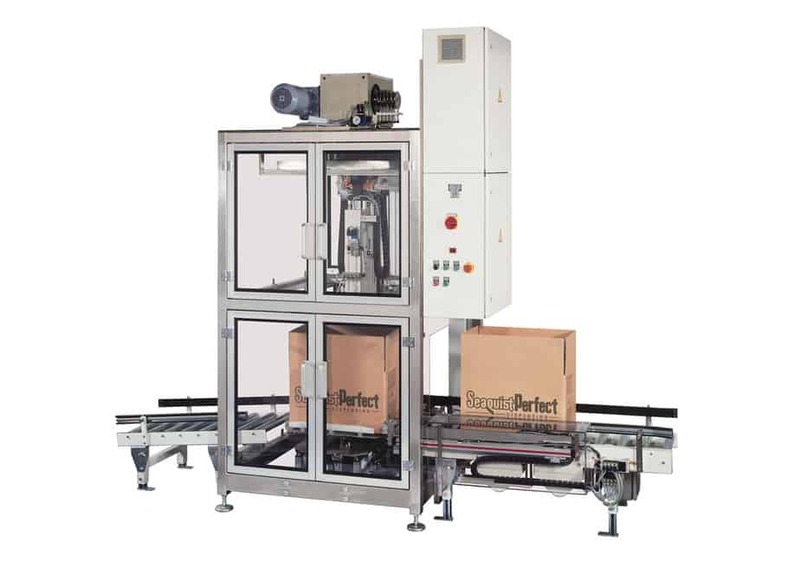 The Desotec Valve case loading unit is usually fitted to the out-feed of a dip tube assembly machine. A brush transport indexes a given number of valves equivalent to the length of the case. A gripper arm takes this row of valves and places them into the case. 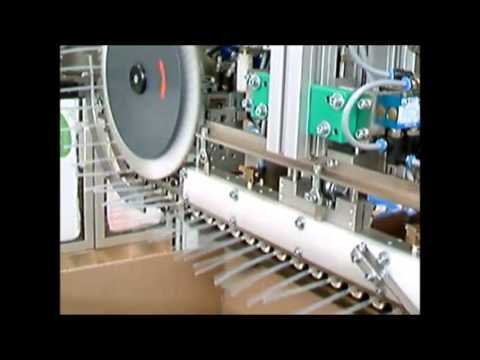 The case is indexed forwards and backwards by a conveyor. When a layer is completed the case is turned 180 degrees and the process is repeated.